Set of 20 Questions for FREE! Why not try before you buy? Simply enter your name and email address below. You will then receive your free questions and answers and our free newsletter via email. Simply click on the ‘Add To Cart’ button relating to the set or sets that you wish to purchase and proceed through the order process. "The R01 videos, study notes, workbook and practice papers were so helpful and made revision a lot more approachable. It really helped me to pass when I failed before! I look forward to using your other materials for the other exams!" "The Brand training material certainly helps you to focus on the key information required and get straight to the salient facts. Having to read all of RO4 and JO5 was daunting but by using the notes as a guide it helped me to condense a lot of this information quickly ." "I passed my exams 1st time after buying the 3 mock exam packs. They are very relevant and gave me that extra confidence in taking the exam. Thank you Brand 🙂 The service is excellent as well I might add." "Brand's solution papers were massively helpful in my preparation for the R06 exam. The expected questions came up on the exam and I was well prepared to give answers that covered all the aspects that I needed to in order to get a good mark. Gained a very good pass so am very grateful to Brand for their support." Passing IF1 isn’t only about having the necessary knowledge and understanding, it’s about being able to apply that knowledge in an exam setting exactly as needed and in a timely manner. It is essential that you practise multiple exam papers to ensure that you know exactly how to apply your knowledge. Too many people fail due to a lack of exam practice, even if their knowledge is good. 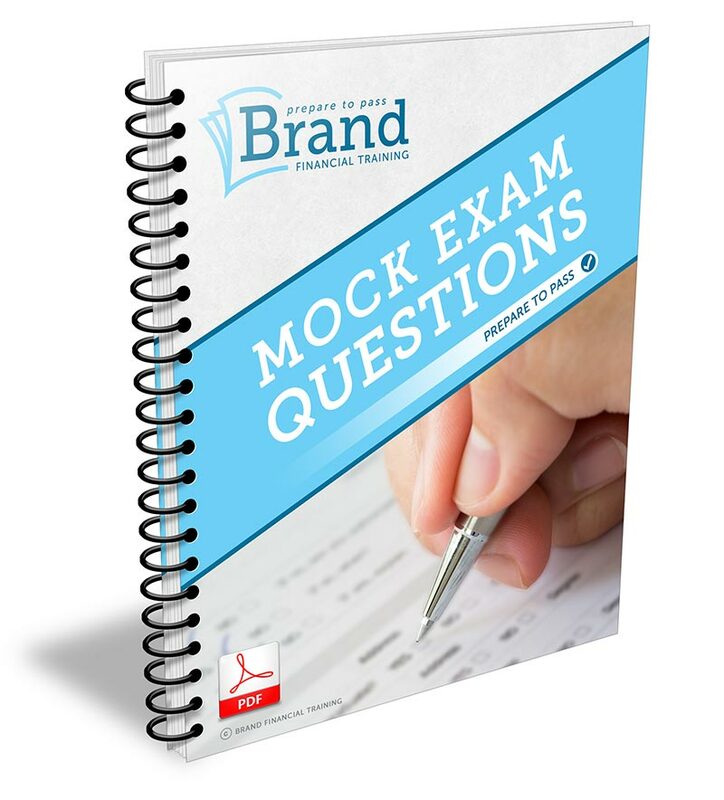 Our mock exam question papers ensure you get the practice you need to achieve exam success. Couple them with other resources in our study kits and you’ll be well prepared for your exam.